Hello, we are Giovanni, Carole and Caterina Latini, and we thought you might like to know something about our background and how our restaurant came into being. In 1898 Angelo Latini started up a fiaschettiera in Via della Vigna Nuova, selling wine of course, but also local cheeses and cold cuts. By the 1950s his nephew Narcisio Latini had managed to change the local business into a tavola calda and his wife Maria made steaming dishes of ribollita and pappa al pomodoro to be sold alongside the cold cuts, cheeses and freshly made panini. In 1965 the ever-growing business transferred to the old stables of Palazzo Rucellai, Famously Narcisio served plates of hot food to both Florentine residents and the mud-angels during the flood of 1966, despite the fact that his own premises were overflowing with mud and debris. 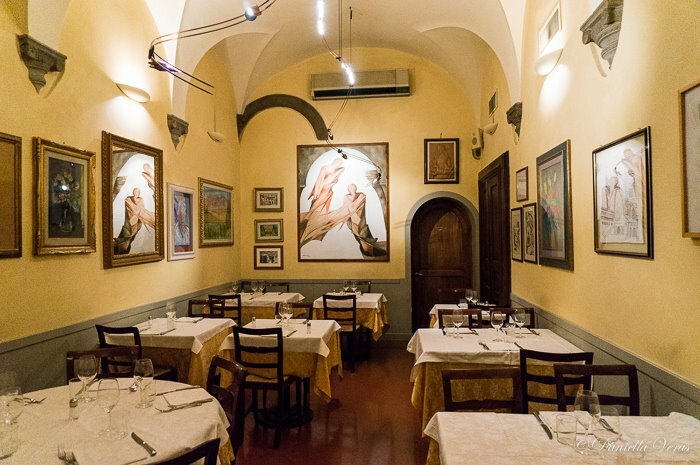 It was now that Narcisio’s and Maria’s two sons, Torello and Giovanni began to make themselves heard in the running of the business and Maria expanded her output to include grilled and roasted meats, and many other typical Florentine dishes. 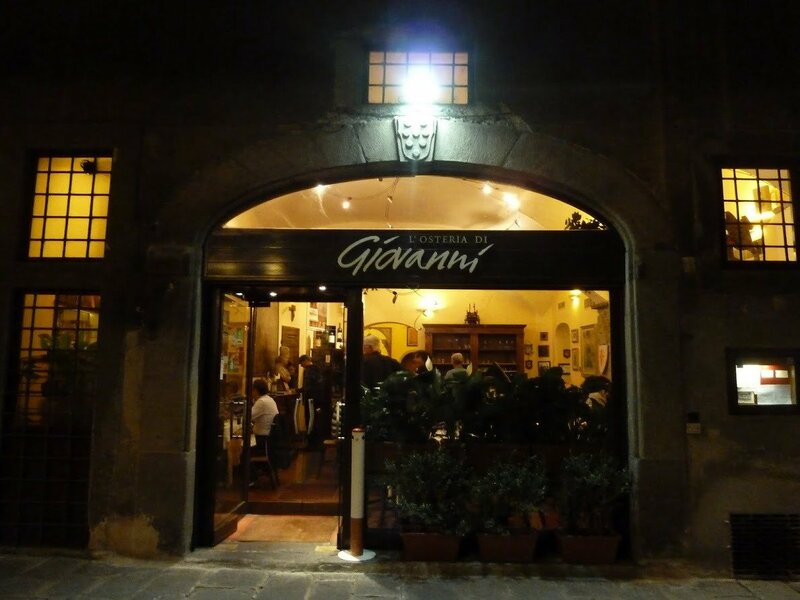 At L’Osteria di Giovanni the influence of Chiara, Caterina and Carol meant not only maintaining strict allegiance to traditional Tuscan dishes, but also experimenting in new flavours and combinations, whilst remaining faithful to local and season produce. Popular new dishes include smoked duck breast on rocket salad and dressed in balsamic vinaigrette, tortelli stuffed with pear and pecorino, with leek and paprika sauce, pici with sausage and kale, and lamb slow-cooked with artichokes. Did you ever even imagine that pineapple carpaccio with red peppercorns existed?